On Wednesday, AvantLink hosted the second affiliate holiday strategy webinar of 2017. This live event focused on best practices for optimizing a holiday gift guide, a common and effective tactic many affiliates use during the holiday season. While the live event had a great turnout, many affiliates opt to watch the webinar recording. 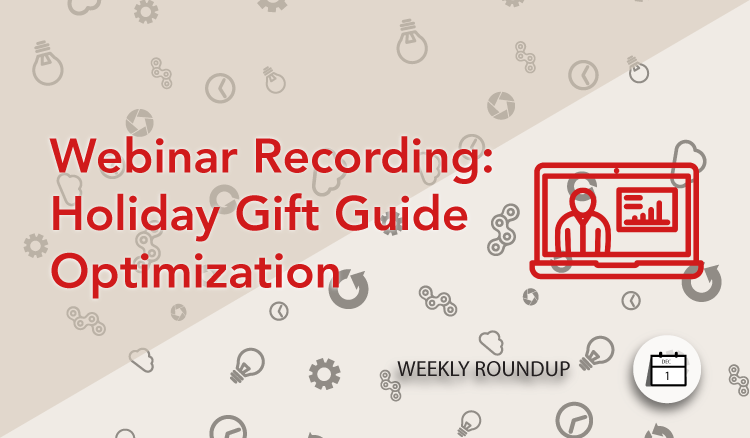 To that end, the recording of the second affiliate holiday strategy webinar for gift guides is below for viewing at any time. Looking for more strategies and best practices for affiliate marketing during the holiday season? Hop on over to the recording of the first affiliate holiday strategy webinar for high-level tactics that are particularly effective during the end of Q4. Yogee Toys are an online toy retailer based in Sydney. We offer an extensive range of Kids Toys Online, Baby Toys Australia, Wooden Toys, Educational Gifts and Specialty items including Sylvanian Families. Our business has been built on quality, value and customer service by offering merchandise selected with experience, knowledge and passion. Join the Yogee Toys affiliate program on AvantLink Australia. Join the Stormy Kromer affiliate program. Don’t underestimate how important sleep is for your child (and you). Newton has just the right level of comfort and air circulation to help your baby sleep better. Join the Newton Baby affiliate program. Join the Nau affiliate program. Paleoethics aim is to help you achieve your health and fitness goals by delivering an exceptionally nutritious range of high-performance supplements suitable for any lifestyle. Our promise to you is that you get what you see – no gimmicks, outrageous claims, or hard-to-pronounce ingredients. Just pure, healthy and effective supplements free of eggs, gmo’s, gluten, dairy, soy, nuts and corn with no added sugar. Join the Paleoethics affiliate program.